Provide comfort for the family of Charles Haslam with a meaningful gesture of sympathy. That’s how Charlie Haslam concluded every conversation with the people he loved. On Sunday, February 3rd, after 98 years of blessings, Charlie said his final goodbye at Hyland Crest Long Term Care Centre in Minden, Ontario. His large and loving family surrounded him, a circle of love he created and inspired. Sharing in the grief of his passing, his sons, daughter, and their partners: Brian and Doreen, John and Eileen, Sue and Jeff, Tom and Sue, and Joel and Lee. The heartache extends to his grandchildren: Pat, Blair, Carey, Sarah, Tim, Kevin, Danny, Brent, Lexi, James, Sydney, Tait and Madi; great-grandchildren: Brooke, Jordan, Nicole, Charlie, Jacob, Joey, Paige, Meaghan, Ellie, Charlotte, Emily, Casey, and Libby; and great-great grandchildren: Noah and Austin. Charlie was a gentle and gracious soul, a man of wit, wisdom, and cozy cardigans. Generous welcomes were his trademark. His door was always open, the coffee on, the tea bags steeping. Boxes of gingersnaps and Peek Freans spilled from the cupboards. Candy dishes piled high with licorice allsorts, wine gums, and jujubes. Warm conversation, chilled Chianti and music flowed. He was unrivaled on the Scrabble board, unphased by the crossword. His mastery of language and capacity for reciting poetry, a life-long gift. His voice was distinctive and soothing; that slight English accent betraying his desire to be singularly, and proudly, Canadian. Charles Alfred Haslam was born on December 4, 1920 in the naval city of Portsmouth. His parents, Virginia and William, would learn to navigate life with 8 children, raising their large and loving family in England, Malta, and Hong Kong. He is survived by his dear sister Pat Rowe. World War Two brought Charlie to Canada. A Flight Sergeant with the Royal Air Force, he came to this country as part of the British Commonwealth Air Training Plan, helping to set up training schools for Canadian pilots heading off to battle. While in Ottawa, he met the love of his life, Mary Geraldine St. James. They married in 1944. After leaving the RAF, Charlie launched his career in Canada as an accountant with Abitibi, where he worked until his retirement. “Chas” and his darling “Gerry” made magic together for more than 50 years. They raised 5 children and made homes in England, Northern Ontario, Scarborough and Whitby. At their cottage on Minden Lake in the Haliburton Highlands, they would begin their retirement. In 1995, terminal cancer ended Gerry’s life and broke Charlie’s heart. He would never love another. Charlie led a full, active, and engaged life. He drove a car into his 90s, lived in his own home until he was 93, and danced up a storm at his 95th birthday bash. He would spend his final years at the Amica Seniors Residence in Whitby before moving to Hyland Crest Long Term Care in Minden last fall. The family wishes to extend its sincerest thanks to the dedicated and caring doctors, nurses, PSWs and staff members at Hyland Crest, Amica in Whitby, and Lakeridge Health in Oshawa and Ajax-Pickering. 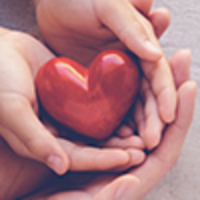 In lieu of flowers, donations can be made to Hyland Crest Long Term Care in Minden via the Haliburton Highlands Health Services Foundation and Covenant House in Toronto. Charlie always urged us to “just love one another.” We will. Promise. Good-bye, for now. And God Bless. A private family visitation and service will be held at W.C. Town Funeral Chapel in Whitby. Interment at Resurrection Catholic Cemetery, Whitby. Condolences may be expressed online at www.wctownfuneralchapel.com. Consider providing a gift of comfort for the family of Charles Haslam by sending flowers. In loving memory of a fine man and a wonderful grandfather. Dear Brian, John,Susan,Tom, Joel and families. Our thoughts and prayers are with you at this difficult time All our love Pat Rowe, John Rowe, John and Anne Carlson, Don and Lynn Hopper and families. Carey, Phill, Joey, Paige & Meaghan. Sincere condolences on the passing of Charlie. Our condolences, he was a great man.